Walter Tirel was married to Adelize, the daughter of Richard Fitz Gilbert. On 2nd August 1100, William Rufus went hunting at Brockenhurst in the New Forest. 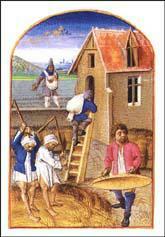 His brother-in-laws, Gilbert de Clare and Roger of Clare, were also with the king. During the hunt, Tirel fired an arrow at a stag. The arrow missed the animal and hit William Rufus in the chest. Within a few minutes the king was dead. Tirel jumped on his horse and made off at great speed. He escaped to France and never returned again to England. Gilbert and Roger, sons of Richard de Clare, who were present at Brockenhurst when the King was killed... were brothers-in-law of Walter Tirel... Richard, another brother-in-law, was promptly selected to be Abbot of Ely by King Henry I, who further gave the see of Winchester to William Giffard, another member of the same powerful family circle. 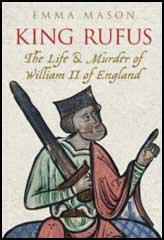 Historians... have hinted that barons... perhaps led by the Clares... had arranged William's death. But there is not a shred of good evidence and the theory merely avoids the obvious. Hunting accidents were, after all, not uncommon. The day before the king died he dreamt that he went to heaven. He suddenly awoke. He commanded a light to be brought, and forbade his attendants to leave him. The next day he went into the forest... He was attended by a few persons... Walter Tirel remained with him, while the others, were on the chase. The sun was now declining, when the king, drawing his bow and letting fly an arrow, slightly wounded a stag which passed before him... The stag was still running... The king, followed it a long time with his eyes, holding up his hand to keep off the power of the sun's rays. At this instant Walter decided to kill another stag. Oh, gracious God! the arrow pierced the king's breast. On receiving the wound the king uttered not a word; but breaking off the shaft of the arrow where it projected from his body... This accelerated his death. Walter immediately ran up, but as he found him senseless, he leapt upon his horse, and escaped with the utmost speed. Indeed there were none to pursue him: some helped his flight; others felt sorry for him. The king's body was placed on a cart and conveyed to the cathedral at Winchester... blood dripped from the body all the way. Here he was buried within the tower. The next year, the tower fell down. 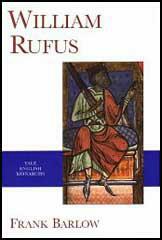 William Rufus died in 1100... aged forty years. He was a man much pitied by the clergy... he had a soul which they could not save... He was loved by his soldiers but hated by the people because he caused them to be plundered.